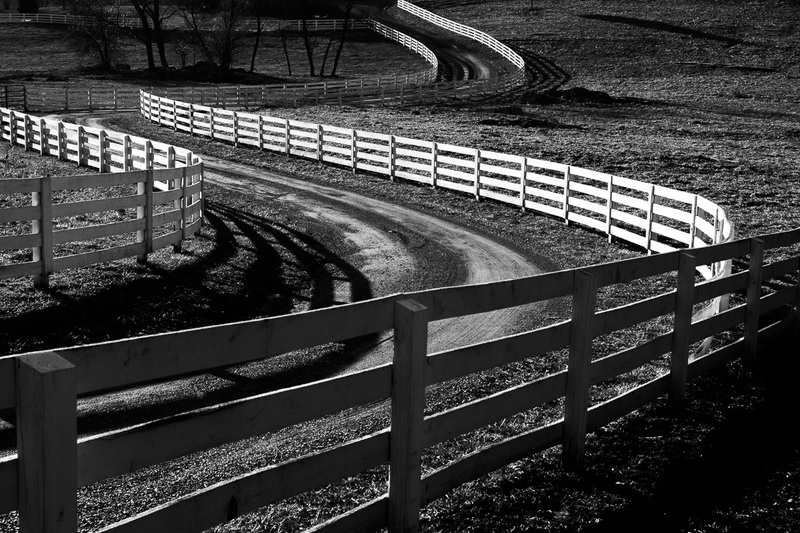 Driving by this farm I saw mostly in my peripheral vision, these lovely curves in the driveway and fence highlighted by the low, late afternoon sun. I’m not sure there is any real reason not to just run the driveway straight up the hill, except that whoever made the decision to make it curved had a sense of design. I had to stop a little way up the road so I could turn around and return to photograph it. It was worth the effort. ~ by Admin2 on January 29, 2014.